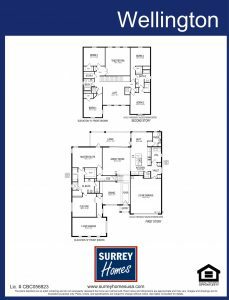 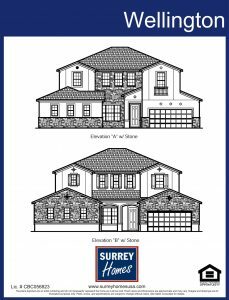 The Wellington model by Surrey Homes is a 4,182 square foot single family home featuring 5 Bedrooms and 3.5 Baths. 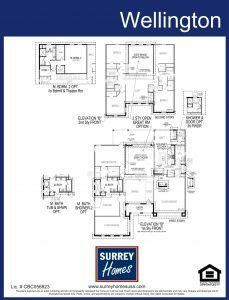 This floor plan offers a large first level master suite, 3 car garage, theater room, and a loft or study. 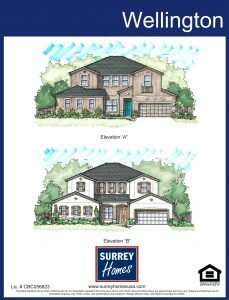 The Wellington model starts at $418,990.